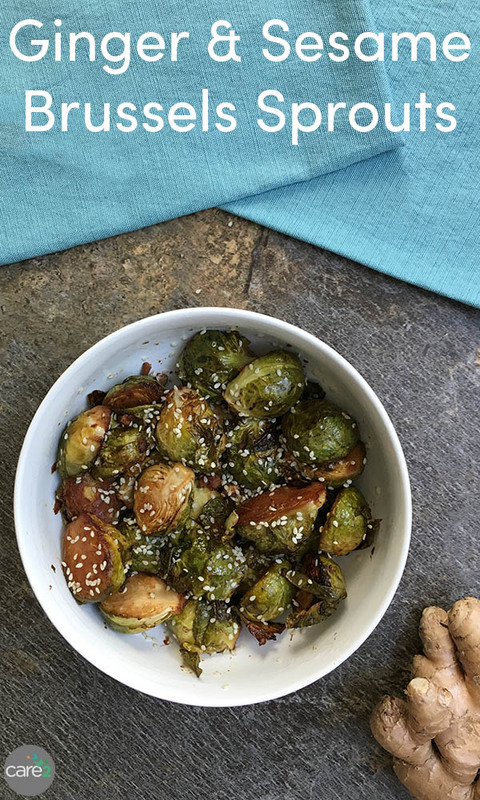 Rich, toasted sesame oil is the secret to these flavorful, roasted Brussels sprouts. They’re crispy on the outside, tender on the inside, and no one needs to know how easy they were to make. You only need six ingredients to make this delicious side dish. Combine the oil, ginger, vinegar, soy sauce and maple syrup in your blender. PureeÂ to make the ginger-sesame dressing. Some chunks of ginger are okay. Toss the dressing you just made with the halved Brussels sprouts together in an 8x8" glass baking pan, making sure that the Brussels are well coated. Bake for 30-40 minutes, stirring every 10 minutes during the first half hour of cooking. During the last 10 minutes of baking time, you may want to check in every 5 minutes, to prevent burning. 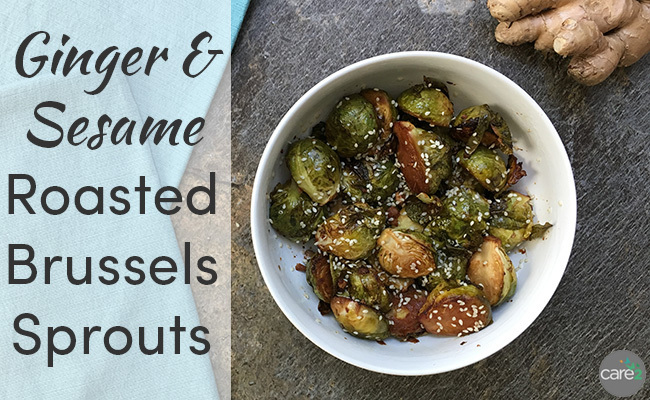 Your Brussels are done when they're fork-tender on the inside and browned on the outside. The final cooking time will depend on the size of your sprouts. The ones in the video are quite large, so they took the full 40 minutes. Smaller sprouts will take closer to 30 minutes.